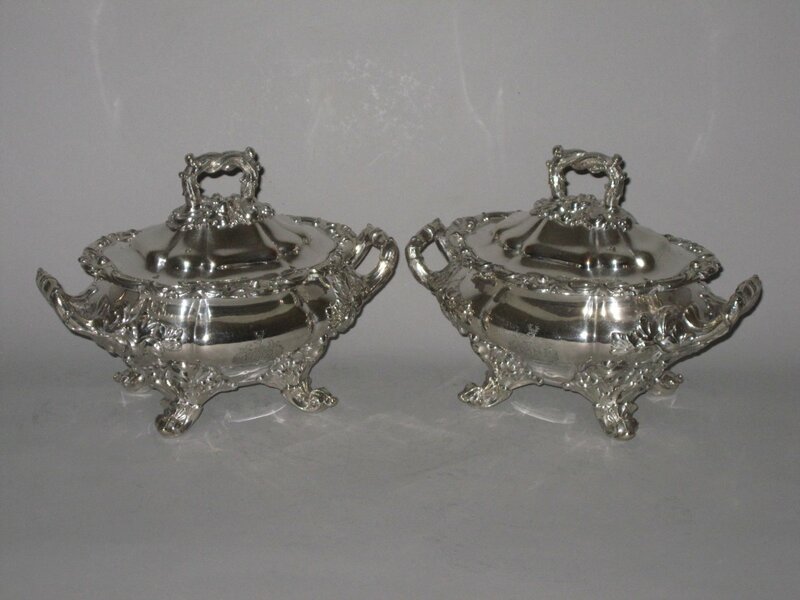 A FINE PAIR OF REGENCY PERIOD OLD SHEFFIELD PLATE SILVER SAUCE TUREENS AND COVERS. GEORGE IV, CIRCA 1825. Of oval two handled form and of superb quality with heavy & ornate leaf cluster mounts. Enraved crest to bodies.